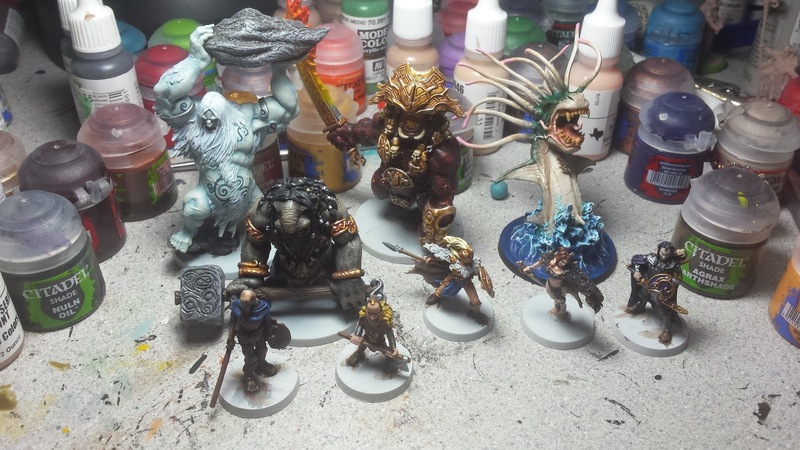 Brush Wizard: WIP - Blood Rage: All Monsters are Finished! 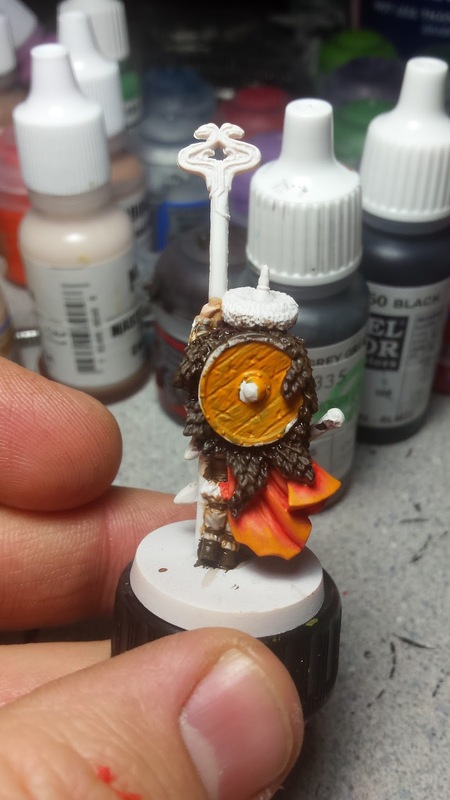 Out of all the small minis, my favorite is the Dwarf. All of the other small monsters seemed uninspiring to me and the Valkyrie had some nightmarish mold line issues. Of course, I am a big dwarf fan as well, so that may have something to do with it. With all of the monsters out of the way, it's time to start on the clan leaders. I can't resist a pretty lady, so I decided to start with the snake clan leader. Her cloak and shield are in her clan colors, which are an orange/yellow. I also am limiting the palette a little bit and sticking to browns and beige colors. I'm hoping to do animal motifs on each of the clan leader's shields as well, hers will be the snake. So far, she's turning out well. My goal is to have all the minis finished for this weekend. Hopefully, that shouldn't be a problem. I did miss out on painting time yesterday though, since I wasn't feeling well. 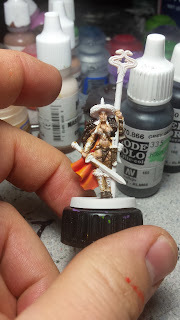 But I am ready to get started on the next commission job, which is a Tabbybrook Mage for Super Dungeon Explore.